Let True Love help you find the Joy that’s all around! 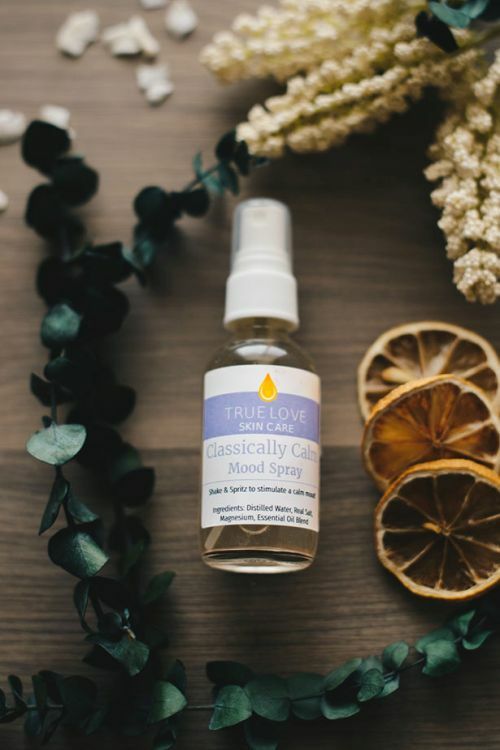 Classically Calm Mood Spray is an essential oil aromatherapy spray that’s fortified with minerals to nourish your skin and improve your mood. Classically Calm will help you feel more centered, peaceful, and zen! As with all True Love products, without using artificial fragrances or fillers! Also, try the Joy Pack that includes all 3 of our wonderful Mood Sprays & save $$$! Shake & spritz as needed to feel peaceful and relaxed! Apply to wrists, neck, and décolletage for a fresh scent!